Even the most dedicated family caregivers may, at some point, need to make room for paid caregiving services if it is in the best interest of an elder loved one. Needs, goals, and health concerns can change rapidly for both the Florida senior and the family caregiver. While understanding the need for a paid caregiver does not mean the transition will be easy, it may be the right thing to do for you and your family. Let us share seven tips with you to help you make the best transition possible when it comes to shifting from a family caregiver to a paid one. 1. Learn when to hire a paid caregiver. Two of the main signs that it is time to hire a paid caregiver is when the demands of caring for an elder loved one become too great for the caregiver to manage alone, or when the dynamic is no longer safe. 2. Do not let feelings of guilt stop you. A caregiving transition can induce feelings of failure and guilt, as if a family member is somehow abandoning an elder loved one. Those feelings can be overcome by knowing that you are actually tending to an aging adult’s best interests. 3. Do not allow family conflict to impede care. Clear communication and mature compromise among adult family members is essential. If disputes persist, consult an independent third-party expert, such as an elder care attorney for impartial guidance. 4. A durable power of attorney can help. A durable power of attorney allows for a trusted confidant to make decisions about an aging adult’s long-term care needs, including hiring caregivers and working with long-term care providers. 5. How to find a quality caregiver. One way is to contact a home care agency located near an elder family member, another is to ask family, friends, and associates who have been in similar situations for recommendations. 6. What to look for when hiring a senior caregiver. 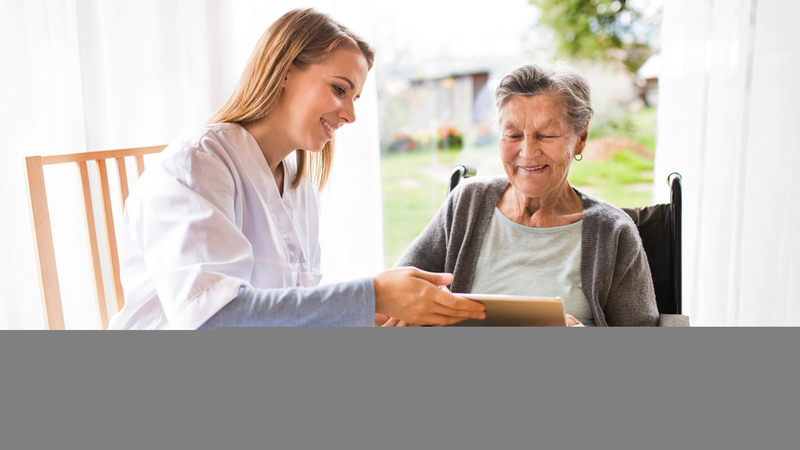 Make sure a prospective caregiver is appropriately licensed and insured to perform the services you are hiring him or her to do. Even if he or she has all the proper credentials, you will also need to find the right personality fit. 7. Understand how much hiring a caregiver costs. Costs depend on several factors, such as whether you hire a caregiver yourself or through an agency, and what particular services an elder loved one needs. These are just a few tips to get you started in your transition. We know that this article may raise more questions than it answers. Do not wait to contact our law office and schedule a meeting to discuss your concerns today.